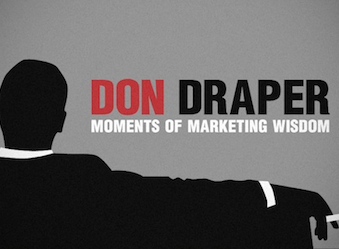 There is a lot that can be learned from fictional ad man, Don Draper. Whether it’s his cool exterior or his knack for being able to charm the pants off a kitchen chair. With gems like, “Everybody else’s tobacco is poisonous, Lucky Strike’s is toasted” and “What you call love was invented by guys like me to sell nylons,” look no further for the inspiration you need to get through Friday. Some are pithy, some morally bankrupt (Lucky Strike example), but whatever he says, we listen. This graphic comes courtesy of UK-based Glow New Media, ahead of the premiere of season seven of Mad Men in a few weeks (which is the final season, sort of… it’ll be split over this year and next).